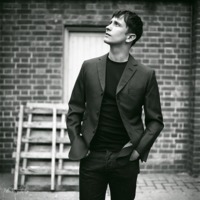 Adam Ficek (born in Bletchley, Milton Keynes, Buckinghamshire) is an English musician who performs under the 'Roses Kings Castles' name, and was a song writer and member of Babyshambles. Ficek joined the Babyshambles in 2005 with former The White Stripes band mate Patrick Walden. Prior to 2005 Ficek had recorded with the Mains Ignition, The White Sport and has also recorded two jazz albums.